Doggy In Wonderland is an online pet store that offers plenty of pet gear for your dog! We can supply your puppy with the best pet products and dog supplies! 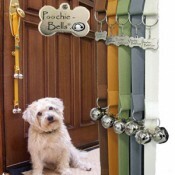 We offer Poochie Bells to help you train your doggy. These bells are handmade in the USA and are an excellent training tool. You can easily train your pooch to ring a bell each time it is potty time and by using the training instructions provided with this product you\'re sure to be successful. Once you\'re out, you are going to need those poop bag dispensers and our crystallized ones are sure to impress your canine friends. 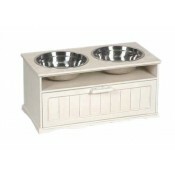 You will love our dog bowls and dog treat jars as much as we do. 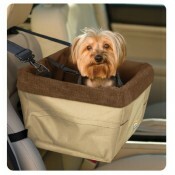 Our dog bowls are stylish, practical and convenient. If your dog actually joins you at the table, you\'ll definitely want to check out our dog high chairs. 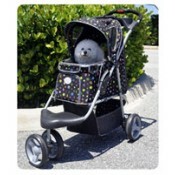 For long walks in the park, we suggest our pet strollers and joggers. After all, sometimes tiny legs just can\'t keep up. 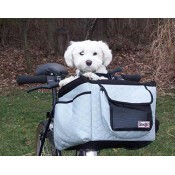 If you love to ride your bike but hate leaving Fido behind, then you must look at our bike baskets. You\'ll both be glad you did. Doggy in Wonderland knows that canine friends love to go for car rides but sometimes they need a little boost to be able to see. Our booster car seats will safely offer that view out the window. 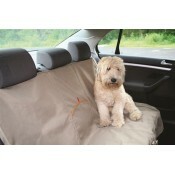 Speaking of safety, check out our seat covers and car harnesses so your dog will be safe while riding in a car. 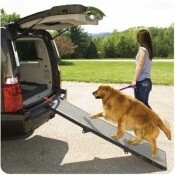 And for those who are a little older or have trouble jumping up into tall vehicles or onto high beds, our steps and ramps for dogs will be the perfect pet help. If your dog is anything like ours then he or she probably loves the water but sometimes a little extra security is needed for water safety. 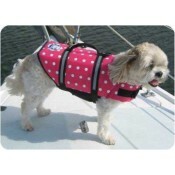 Our water play collection offers dog life jackets and a doggy boat ladder so your pup can enjoy the water and you can feel safe about it.